The Community of Ringwood Indigenous Species Plant Nursery is a plant nursery run by volunteers who grow indigenous plants to put back into local parks, reserves and home gardens. to support other groups involved in revegetation and maintenance of bush reserves. Many of our plants are used for re-vegetating our local parks and reserves. Together we are helping to preserve our unique local biodiversity. 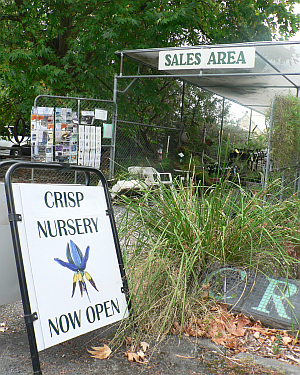 CRISP is run by volunteers from the local community who feel passionate about doing something for the local environment. You can be one of these volunteers. 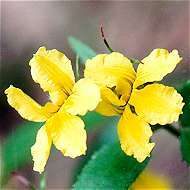 Assistance is provided to identify and propagate indigenous plants. By volunteering you will also meet people with similar interests and help the environment. Contact the nursery for further information about introductory sessions. Your membership ensures an on-going supportive community. Advice and help on gardening issues. Advanced notices of special events and sales. Three newsletters each year, full of advice on growing plants, and information on local environment issues. We look forward to your first visit to our nursery. See Membership page for more details about Fees and How to Join.